Died; 28th May 1918; age 21; Died of Wounds – 61 Casualty Clearing Station. Served 2 years & 171 days. Residence: 13, Studley Grange Road, Hanwell, Middlesex. Embarked – Southampton – 2nd November 1916 – disembarked – Havre – 3rd November 1916. Enlistment Details: Location: London; Date: 9th December 1915; Age: 18 years & 7 months; Occupation: Civil Service; Religion CofE. Next of Kin: father – William Battle, of Holmbush Lodge, 1, Derby Road, Ipswich. Height: 5ft 11 1/2ins. Achieved 1st Class in Signalling & Telephoning – 14th August 1916 – Shoreham-by-Sea, West Sussex. 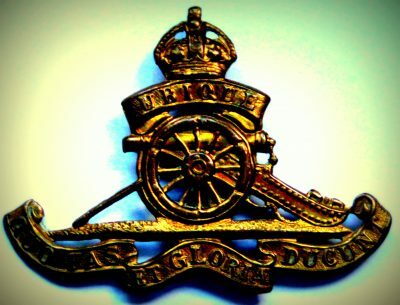 Rank: Gunner; Service Number: 76554; Regiment: Royal Garrison Artillery, 200th Siege Battery. Relatives Notified & Address: Son of William & Jessie Battle, of St. Clement’s, Ipswich. 1901 15, Newton Road, Ipswich. George was 3 years old and living with his parents. William Battle, 45, a Carpenter – employer, born Easton, Suffolk. Jessie Battle, 36, born Inverness, Scotland. 1911 1, Derby Road, Ipswich. George was 13 years old and living with his father & step mother & father’s cousin. William, 56, a Jobbing Carpenter. Clara Emma Battle, 52, born Butley, Suffolk. William Henry Dalby, 50, born St. Margaret’s, Ipswich. George’s mother Jessie Battle died 1905, Ipswich. Disc, purse, lighter, matchbox holder, cigarette holder, spectacles (broken) in spectacle case, 2 pipes (1 broken), metal watch (no glass, in case), knife. Kit bag handle, lock & 2 keys, 2 safety razors (1in case) & blades, soap & flannel in tin box, 2 pairs scissors (1 pair broken), tube of toothpaste, letters, photos, cards, 2 mirrors 91 in case), 3 notebooks, 2 combs, shaving strap & brush, 2 French booklets, fountain pen & clip, registered envelope, wallet, 2 pencils, certificate, newspaper & cards of views. On the 24th February 2012, George’s Death Plaque was sold on WorthPoint – e-bay. Along with the Plaque there was also a Cast Bronze Plaque of the Royal Artillery, his two medals with his name, number and regiment on the side and a letter from King George. Also the wax and inner paper envelope’s. George is also remembered on the London WW1 memorial.